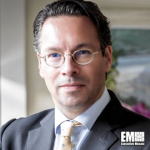 On December 7th Neill Blue was appointed as chief financial officer of ViON Corporation. Blue is a tenured financial officer and operations executive with an extensive history of providing support to growing technology companies. Prior to his role at ViON, Blue served as a consulting CFO and COO for Capitol Power Group. 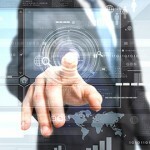 He also led Schneider Electric’s Mission Critical Services division. Furthermore, Blue has previously directed and managed U.S. investment activities and served as a practicing CPA at Ernst & Young. 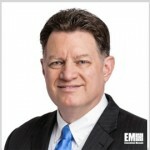 On December 4th Accenture announced that Ed Meehan, formerly head of safety and citizen services portfolio at Accenture Federal Services, had been promoted to chief operating officer of AFS. 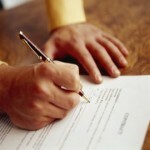 Meehan succeeds John Goodman, who was promoted to CEO of AFS in late November. Meehan will be responsible for helping AFS clients leverage new operating models, commercial practices and digital technology platforms. 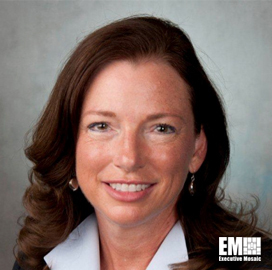 Meehan has been with Accenture for 27 years and previously served as civilian portfolio lead and head of sales operations at AFS. On December 1st Mitre announced that Katharyn White had joined as senior vice president and general manager of the non-profit’s public-sector business. 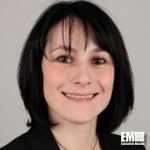 White will be responsible for overseeing strategic and customer engagement initiatives for federally funded R&D centers that Mitre currently manages for several civilian agencies. 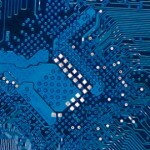 White had previously spent 21 years at IBM’s global business services unit as VP of transformation and led change management efforts for over 120,000 employees. 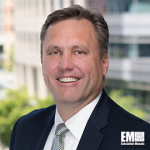 United Technologies Corp. announced on November 30th that Paul Eremenko will serve as senior vice president and CTO starting January 1st. 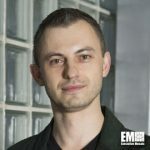 Eremenko, who previously served as CTO at Airbus, will be succeeding J. Michael McQuade and will report directly to UTC chairman and CEO Greg Hayes. Eremenko will be overseeing UTC’s research center and will lead R&D and engineering efforts in the building systems and aerospace sectors. On November 29th Rick Wagner was promoted to lead ManTech International’s mission, cyber and intelligence solutions group. Wagner will serve as the business unit’s president effective January 1st. ManTech announced that Wagner will be succeeding Bill Varner, who is retiring after leading the MCIS business as president since 2009. 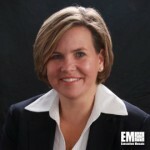 Wagner, who currently serves as executive vice president and chief operating officer of MCIS, has managed the group’s day-to-day operations over the past year and has previously served as SVP and general manage of the company’s advanced technology solutions business. 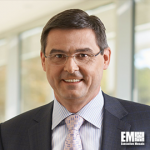 SAS Institute announced on November 27th that its CTO, Oliver Schabenberger, will be assuming additional duties as chief operating officer for the analytics software company, effective January 1st. As COO, Schabenberger will provide strategic direction, implement business priorities, and oversee customer support, sales and marketing efforts. Schabenberger, who is a 15-year company veteran, will continue to serve as CTO. On November 14th LMI announced that Tamara Jack had returned to non-profit government consulting firm to serve as SVP, chief legal officer and corporate secretary. Jack, who left LMI at the end of 2015 after serving as director and associate general counsel, will now oversee LMI’s legal and corporate governance functions in her new role. Jack was previously with LMI from April 2005 to November 2015 prior to joining Blumont, a non-profit humanitarian relief and development organization, and serving as VP, general counsel and corporate secretary. 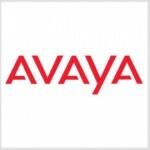 Avaya appointed seven new members to its board of directors on November 13th as part of their reorganization efforts. Jim Chirico, president and CEO of Avaya, will serve as a board member upon the completion of the reorganization. 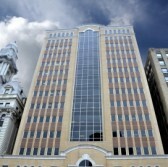 Other appointed executives include: Ronald Rittenmeyer (executive chairman and CEO of Tenet Healthcare), Scott Vogel (managing member of Vogel Partners), Stanley Sutula (EVP and CFO of Pitney Bowes), Stephan Scholl (president at Infor), Susan Spradley (partner at Tap Growth Group), and William Watkins (former chairman and CEO of Imergy Power Systems). Chirico said that the industry insights and business skills of the new board members will help Avaya increase shareholder value and position it for growth. 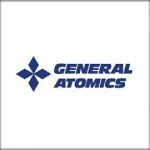 Also announced on November 13th was Jim Mosquera’s appointment as vice president and chief technology officer of General Atomics Electromagnetic Systems. Mosquera, a 37-year federal civilian and naval officer, will help execute GA-EMS’ strategic financial, technical and business goals in support of technology and product development efforts and will oversee the unit’s technology roadmaps. Mosquera previously served as program manager for advanced technology development at the Naval Sea Systems Command in support of the Naval Nuclear Propulsion Program. On November 9th Constellis announced that Deborah Ricci, formerly SVP of finance and accounting at the company, had been promoted to chief financial officer. Ricci succeeds Barry Broadus and will be responsible for the company’s financial strategy and operations. Ricci joined Constellis in 2017 via the company’s acquisition of Centerra Group, where she previously held the role of CFO. Prior to Centerra, Ricci served as CFO at PAE’s A-T Solutionssubsidiary and at the Allied Defense Group. This week’s top GovCon contract awards. CNSI, General Dynamics, Fluor, Raytheon, ManTech International, Pratt & Whitney, Lockheed Martin Johns Hopkins APL, and many others. Four companies have won separate potential five-year contracts to provide intelligence, surveillance and reconnaissance support and systems engineering services for the U.S. Navy’s maritime, aerial, ground and space platforms. 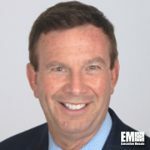 SAP has hired former IBM executive Marc Teerlink as global vice president for the SAP Leonardo digital innovation system, GovCon Executive reported Monday. 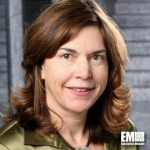 Katharyn White, a 21-year veteran of IBM, has joined Mitre as senior vice president and general manager of the nonprofit company’s public sector business. 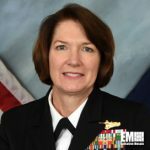 U.S. Navy Rear Adm. Nancy Norton, vice director of the Defense Information Systems Agency, has been nominated by President Donald Trump to serve as director of DISA director and commander of Joint Forces Headquarters-Department of Defense Information Network commander. 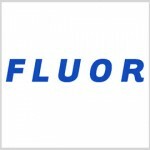 Fluor‘s enterprises business unit has won a potential $831 million contract from the U.S. Army to build structures necessary to restore power in Puerto Rico. United Technologies Corp. and Rockwell Collins could determine by the end of March the location of the corporate headquarters for a new entity that would be formed through UTC’s acquisition of the Cedar Rapids, Iowa-based avionics contractor. TTM Technologies has agreed to buy East Syracuse, New York-based microwave microelectronics provider Anaren from private equity firm Veritas Capital for approximately $775 million cash. 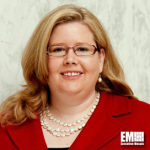 The Senate has approved the nomination of Emily Webster Murphy, former senior adviser to the acting administrator of the General Services Administration, to be the next leader at GSA.